Select up to 3 rooms or suites to compare. Please check that you have selected a maximum of three rooms. Comfort and luxury strike a soothing balance in the 382-square-foot Standard Room, which sleeps up to 4 Guests. 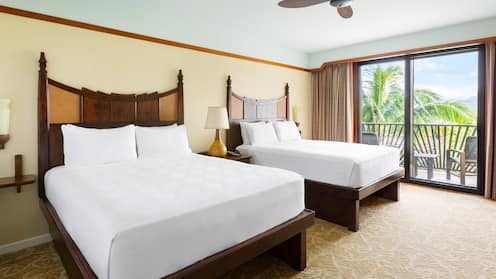 Enjoy a private bedroom and other upgrades. 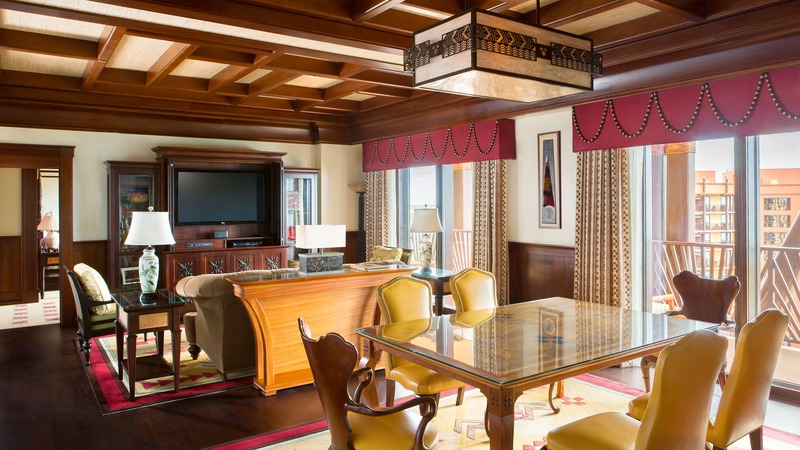 This suite offers more than 750 square feet of living space and sleeps up to 5 Guests. 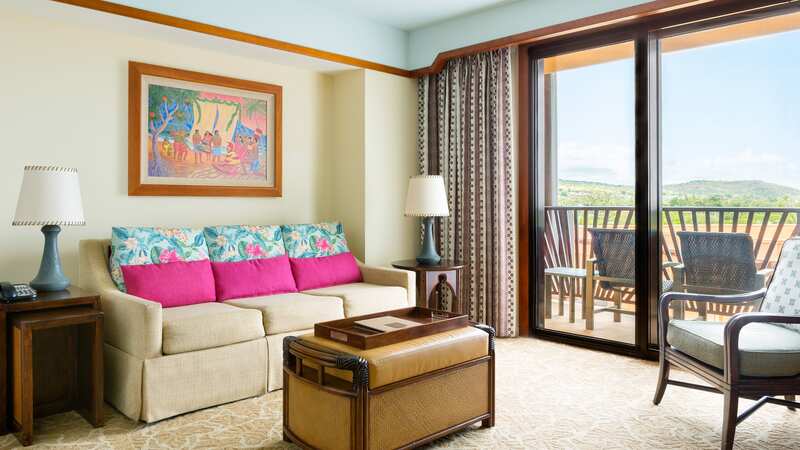 at Aulani Resort—offers more than 1,500 square feet of living space for up to 5 Guests. 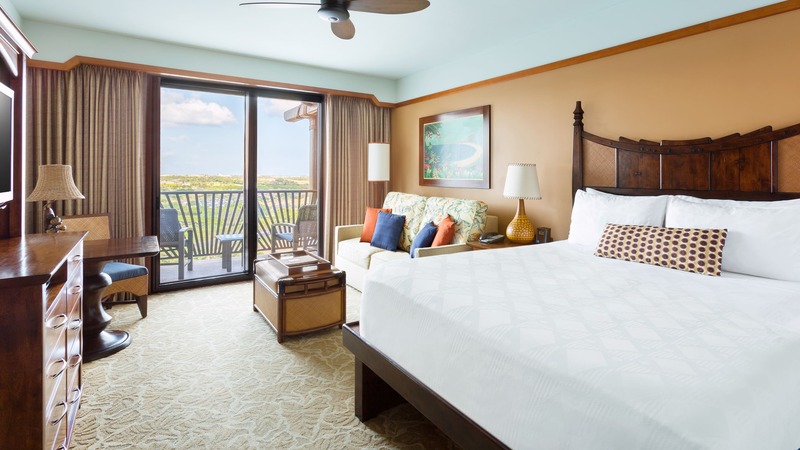 The only one of its kind at Aulani Resort, the 2-Bedroom Suite offers ocean views and more than 1,900 square feet of living space for up to 6 Guests. 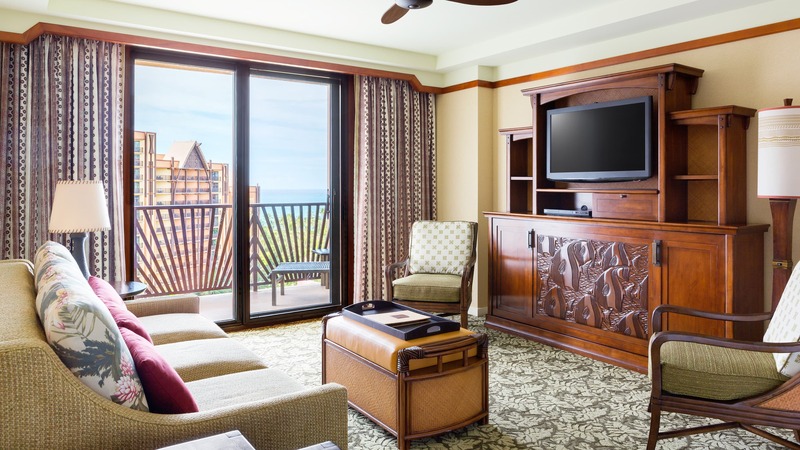 Discover a cozy home base for your family's vacation. The deluxe studio offers approximately 356 square feet of living space and sleeps up to 4 Guests. 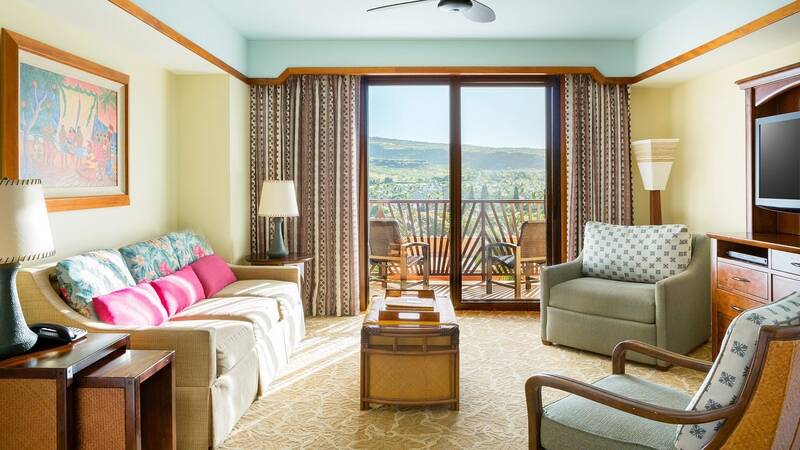 Enjoy a private bedroom, kitchen and other upgrades! 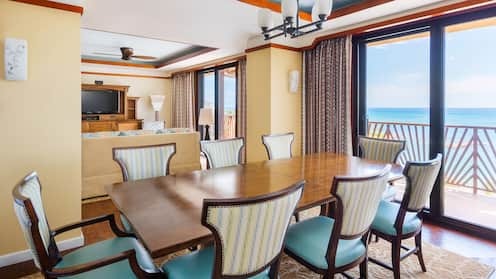 This villa offers more than 750 square feet of living space and sleeps up to 5 Guests. 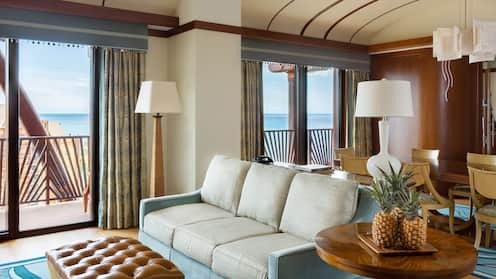 A great option for larger families, the 2-Bedroom Villa offers over 1,100 square feet of lavish living space and sleeps up to 9 Guests. Experience the ultimate in luxury living at Aulani Resort. This villa offers more than 2,100 square feet of living space and sleeps up to 12 Guests.